A thirst-quenching lotion with the lightest, airiest texture & matte finish - perfect for combination skins, summer skin-wear and anyone who prefers a kiss of moisture to a richer cream. An easily absorbed moisturiser with soothing Calendula, enriching Meadowfoam Seed Oil and nourishing Rosa Mosqueta Oil for a softer and toned complexion. Ideal for normal or sensitive skin to strengthen the skin’s barrier and protect against moisture loss and environmental damage. 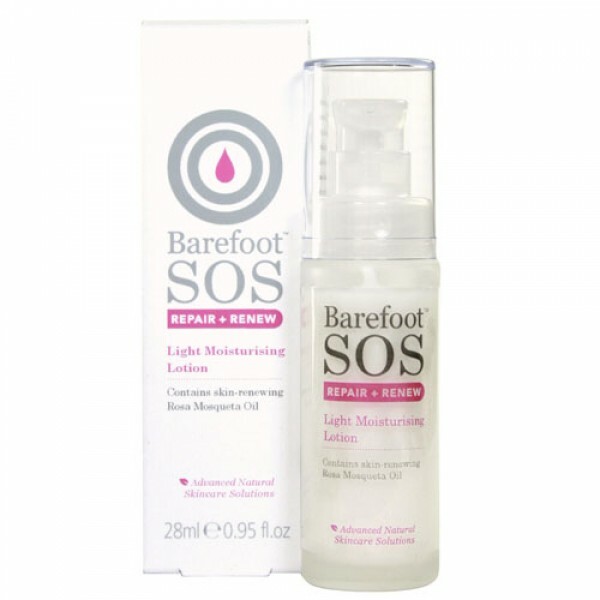 This product was previously known as Barefoot Botanicals Rosa Fina Face Lotion but the formation has been updated. Rosa Mosqueta (Rosehip Seed) Oil: Contains tretinoin, a natural form of retinol that boosts collagen, Apricot, Calendula, Lady's Mantle. Apply to cleansed skin morning and evening. For external use only. It is important to patch test if you think you may be sensitive to any ingredients used. Avoid contact with eyes. Store in a cool place away from sunlight.